Therefore, if the instructions in this Legal Notice are not in compliance, please do not use this website, for any use made of it or of services and content in it implies acceptance of terms legal text contained in this Legal Notice. 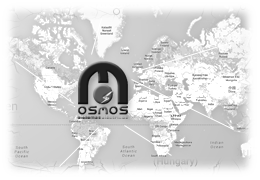 Due to the nature of the Internet, given the possibility that they can access this page from anywhere in the world, content and services generally offered Osmos Electrical Systems SL are aimed at customers who are moving in any country . Notwithstanding the foregoing, to request the hiring of any services and content offered, Osmos SL Power Systems reserves the right to refuse to provide services or content delivery in cases it deems appropriate. 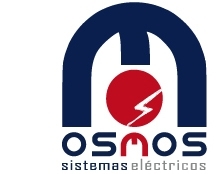 Osmos Electrical Systems SL reserves the right to make changes to the website without prior notice in order to update, amend, modify, add, edit or delete content or web design. The services and web content are likely to be updated regularly and because the update of the information is not immediate, we suggest that you always check the validity and accuracy of the information, services and content contained here. A cookie is a small text file that is stored on your browser when you visit almost any website. Its usefulness is that the web is able to remember your visit next time you browse that page. Cookies often store technical information, personal preferences, personalization of content, usage statistics, links to social networks, access to user accounts, etc. The purpose of a cookie is to adapt the content of the web to your profile and needs without cookies the services offered by any page be diminished significantly. You can always set your browser to control your cookies, delete or block. Web browsers are responsible for storing tools and cookies from this place should carry their right to removal or disabling them. Neither this website nor their legal representatives can ensure the proper or improper handling of cookies by any of the above browsers. In some cases it is necessary to install the browser cookies to remember your decision not to accept them. In the case of cookies from Google Analytics, the company stores cookies on servers in the United States and agree not to share it with others, except where necessary for system operation or when required by law to this purpose. Google does not keep as your IP address. Google Inc. is a company attached to the Safe Harbor Agreement ensures that all data transferred will be treated with a level of protection according to European standards. You can find detailed information on this subject at this link.